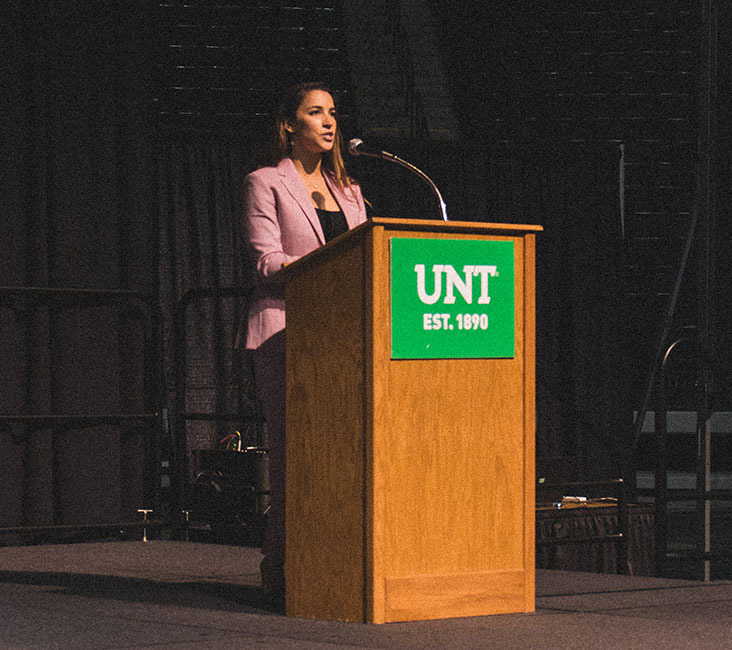 Continuing with its theme of activism for the 2018-2019 season, the UNT Distinguished Lecture Series (DLS) welcomed gold medal winning U.S. Olympic Gymnast Aly Raisman to the Coliseum on November 19. Raisman uses her platform to promote positive body image and encourages everyone to be comfortable and confident in their own skin. She shared her story about her survival of sexual abuse to help advocate for other survivors and push for systematic changes within the sport of gymnastics. Upcoming speakers include Tamika Mallory on February 27 and Don Lemon on March 21.